When Mt Ruapehu started to erupt in September 1995, water mixed with ash, blocks and bombs was thrown from the crater lake. Where this mixture fell outside the crater, it formed several muddy lahars that flowed down the mountainside. 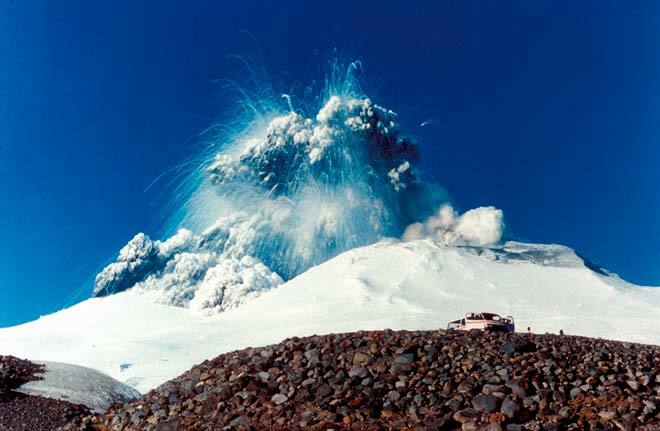 This photograph shows one of the first eruptions, on 23 September 1995.